The horse has inspired awe and admiration in humans for centuries. 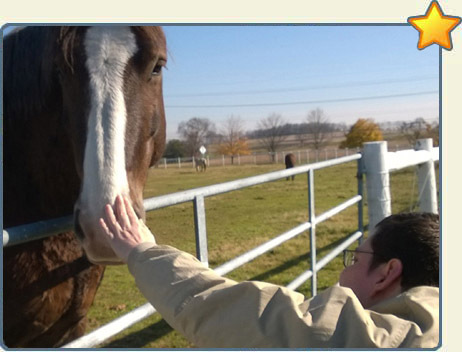 It’s tremendous power, and willingness to serve, enables horses and humans to form a meaningful bond of trust. The horse is an amazingly intuitive animal, who judges all humans unconditionally. It is this capacity that allows equines to literally “lift” the human spirit. STAR Equestrian Center opened in 1998 following a 10-year vision for equine therapy in Western Maryland. 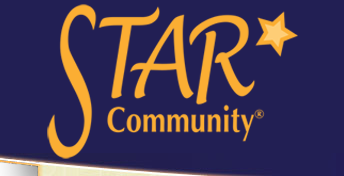 Star has 501c3 non-profit status. The center focuses on the importance of individualized programming and safety for each rider through initial riding assessments. 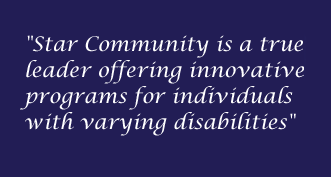 Currently the center serves abled and challenged riders in many types of equine activities. STAR is accredited through Certified Horsemanship Association (CHA) and is a Professional Association of Therapeutic Horsemanship International (PATH Intl.) operating center. As a full spectrum equine learning facility our vision is to serve children and adults of all cognitive, physical, and social abilities. We strive to enhance quality of life by attending to the mind, body and spirit of each rider, volunteer and participant.